George Miller‘s new approach to continuing the storyline that began in 1979 with Mel Gibson as A vengeful Australian policeman, out to avenge his partner, his wife and his son whom were murdered by a motorcycle gang in retaliation for the death of their leader. 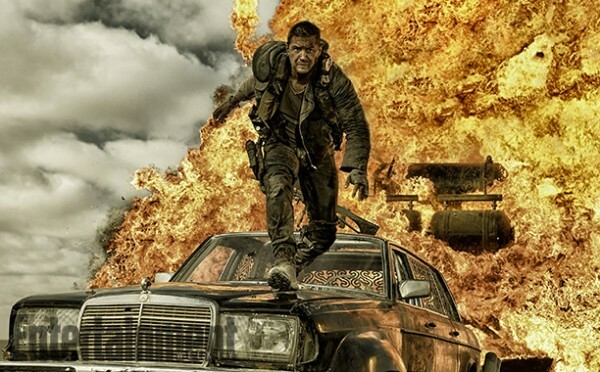 ‘Mad Max: Fury Road‘ features Tom Hardy (‘Lawless‘), Charlize Theron (‘Snow White and the Huntsman‘), Rosie Huntington-Whitely (‘Transformers: Dark of the Moon‘), Nicholas Hoult (‘X-Men: Days of Future Past‘) and opens next spring. Who’s excited to see this when it drops on May 15, 2015? This entry was posted on Sunday, July 27th, 2014 at 3:26 pm	and is filed under Events, Film, News. You can follow any responses to this entry through the RSS 2.0 feed. You can skip to the end and leave a response. Pinging is currently not allowed. « Here is Gal Gadot as Wonder Woman! !